Huddle is a remarkably simple, yet powerful way to collaborate on content. It’s more than just file sharing. It’s conversations around content to move projects forward. 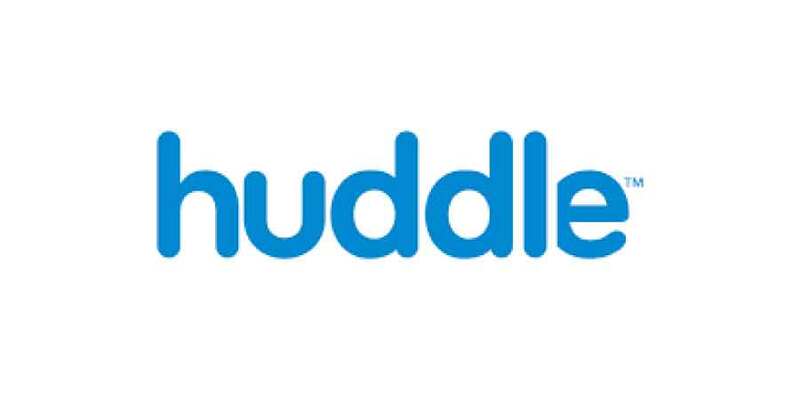 Huddle is privately owned cloud-based software company founded in London in 2006 by Andy McLoughlin and Alastair Mitchell. It is co-headquartered in San Francisco and London, and they have additional offices in New York City and Washington D.C. In 2014, Team Huddle has raised approximately $51 million in Series D round of funding from Zouk Capital, Hermes GPE Environmental Innovation Fund, DAG Ventures, Jafco Ventures, Eden Ventures, Matrix Partners. Huddle is a remarkably simple, yet powerful way to collaborate on content. It’s more than just file sharing. It’s conversations around content to move projects forward. It is one copy of a file, saved in the cloud, for your team to work from. It’s being absolutely sure you’re working from the right version every time. It’s one secure, organized place for all your files, available anytime you need it, from whatever device you’re on. It’s the fastest, most secure environment you can customize—so it works the way you do. Huddle is everything you need to supercharge your productivity. Huddle has very strong government credentials. The cloud collaboration service is used by 80% of central UK government departments (UK is all huddled up), including the Ministry of Justice (MoJ), Department of Energy and Climate Change and the Department for Business Innovation and Skills (BIS) and Department of Environment, Food and Rural Affairs (DEFRA). Huddle continues to be the most successful SME SaS supplier in terms of contracts on the UK’s gov G-Cloud program. By the end of August 2014, Huddle had secured more than 206 contracts for G-Cloud framework. More information on customer success stories can be found here. Team Huddle stated that over 160k organizations are using huddle with over 1.6 million work spaces and and 26 million documents managed. By any count those numbers are evidence of a highly successful service. Huddle provides some cool little features here. Having the option to turn things on and off within work spaces, makes for a clean, clutter free working environment. It may not seem like a lot but it could increase productivity due to a more focused and organized working area. Also there are options to add your unique branding, like colors and logo. Huddle’s project management solution comes with a thing they call Adoption Guarantee. This is their promise, that if your organization isn’t fully Huddled Up after 90 days you will get your money back. This is something you’ll rarely find in other project management solutions. At least it is an incentive to try it out and feel confident that team Huddle has made efforts to ease the initial learning curve so that your organization can get started faster. Every file you upload in the Huddle work-space will be automatically added to the Files Tab of your project. From there you have the possibility to further organize them: folders, attache to certain project tasks. Additionally you can comment on a particular file which creates a very clean and organized system. Version control is there as well and it will help you track your uploads with ease. Huddle allows you to quickly keep track of any custom information you want with custom fields. It can be any type of information. Though you may not need them it is a very nice option to have, and can really help you team stay on top of things. The project manager can decide and define who has access and to what. He can filter project, tasks, folders, sub folders or even work spaces visibility and access. Permissions can be defined on a personal level, one user at a time, or at the team level. All this information can be updated any time so it makes for a very powerful security feature. There are a lot of options that will allow you to expand Huddle. To name a few: Microsoft Office, Google For Work, Salesforce.com, SkySync and more. These services expand Huddle with productivity enhancements, collaboration, document management, time saving, easy migrations and backups. Being classified as a simple project management solution Huddle charges are a bit steep compared to some comprehensive alternatives out there. (One that springs to mind is Office 365 with the new Planner App) You do get some perks, like cloud storage and a decent number of projects to start with. However, if you are working with a small budget there are better solutions out there. Huddle doesn’t have a way for you to enter how much time you spent working on a particular task. This information can be very useful for determining how much effort was spent on a task, and for scheduling future projects. Huddle doesn’t have Gantt Charts so viewing your project in a timeline is not possible. This can make scheduling more difficult. If you are working on multiple projects at the same time you may want to look elsewhere. Huddle can deliver a range of defined reports to help you understand key usage of Huddle across your organization. However, these reports can be produced to a custom specification for you depending on what you’re looking for. Regular product updates through email and detailed release notes. A shared online demo can be found on their website. It has been setup to give registered users the ability to create their own projects. This means once you register, you can create your own project on there and try out the project administration features.